The 1979 track represents the late singer's gift for using her wide-ranging voice to evoke emotion. One of the wonderful aspects of soul music is the diverse styles within the genre. One category is what I call organic soul, a sound that evades easy definition. For me, organic soul strips the music to its bare essence, evoking a warm, homespun feeling. Seventies R&B transformed this into an art form, and the best practitioner of organic soul remains Minnie Riperton, the five-octave songstress who you could imagine experiencing every emotion she sang about, that she felt just as comfortable being a mother as she did onstage. Tragically, she died from cancer at only 31, but she left behind a legacy that has never been transcended. 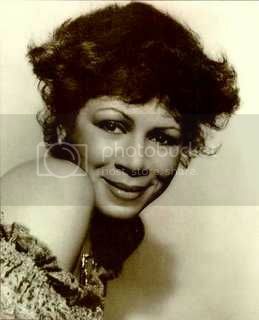 While "Lovin' You" may be her best-known hit, 1979's "Memory Lane" encompasses everything Riperton was: a gifted singer who evoked warmth in her listeners. Riperton displayed her versatility at a young age; born in Chicago in 1947, she grew up studying music, dance, and drama, even contemplating a career in opera. But the pop bug bit her in 1961, when she began singing with a local girl group. That group, the Gems, soon joined the legendary Chicago label Chess, where Riperton recorded singles with the Gems and as a solo artist, along with singing backup for legends such as Fontella Bass, the Dells, and Etta James. After graduating from high school, she fronted a psychedelic band while trying to launch a solo career. Her husband, composer Richard Rudolph, teamed with her to produce 1970's Come to My Garden, an album which received critical acclaim but low sales. Soon after, the couple relocated to Los Angeles, where Riperton would work with her mentor: Stevie Wonder. After singing on Wonder's Fulfillingness' First Finale and touring with his group, Wonder agreed to coproduce her next album, 1974's Perfect Angel. The first single, "Lovin' You," became an instant, across-the-board hit. Her two subsequent albums fell short of Perfect Angel's success, but she was battling a more personal issue: breast cancer. Despite a radical mastectomy, her condition continued to decline--incredibly, she resumed recording up to her 1979 death. Her last release in her lifetime, 1979's Minnie, spawned the hit single "Memory Lane," which reached number 16 on Billboard's R&B charts. While not as big a hit as "Lovin' You," it's a gorgeous track that deserves greater acclaim. Co-written by Riperton and Rudoph, "Memory Lane" begins with a rich horn and string-filled arrangement, instantly evoking feelings of nostalgia and "old school" 70s sounds. Displaying her abilities as an interpreter, she sings the lines "I stumbled on this photograph/ It kinda made me laugh" with a chuckle in her voice. Sounding as if she were smiling while crooning the words, she reflects on a past romance: "I see us standing there/ Such a happy happy pair/ Love beyond compare." But the song moves to expose another emotion: regret. "The way you held me, no one could tell me/ That love would die, why oh why./ Did I have to find this photograph." She uses her high-octave range sparingly, communicating sadness and longing rather than simply showing off. As the ballad fades, Riperton's pleas sound prescient: "I don't wanna go/ Save me, save me," she wails, the knowledge of her imminent death probably foremost in her mind. Therefore "Memory Lane" becomes a nostalgic journey through her own life rather than just recalling an old flame (this is reinforced by the official video, included below). Her lilting vocals and the lush arrangement render the tune a classic, imitating the "warm and fuzzy" feelings we experience while reminiscing; that, in a nutshell, is organic soul. Unlike some of today's vocalists, Riperton cared less about vocal gymnastics than deliberately using her range to emphasize the emotions she experienced as a singer; in turn, her voice kindles those feelings in the audience. Her talents are still greatly missed, but her albums ensure her place as one of the best R&B singers who may be imitated, but never duplicated.